"Stewie BOOM! and Princess Penelope"
Autism is the fastest-growing disability in the US. In 2000 the rate of autism was 1 in 150 children. In 2016, the number jumped up to 1 in 68 and some reports find the number is as high as 1 in 28 for boys! Often people with invisible disabilities like Autism Spectrum Disorder (ASD) are misjudged, and therefore, face added stigma and isolation. They need a higher level of support from peers and caregivers. Without support, the growing number of children with ASD and their families will continue to suffer social isolation and stigmas. Christine Bronstein (a children's author and parent of a child with special needs,) is on a mission to inform young people and their families about Autism. The Stewie BOOM! series from Nothing But The Truth Publishing makes parenting fun. 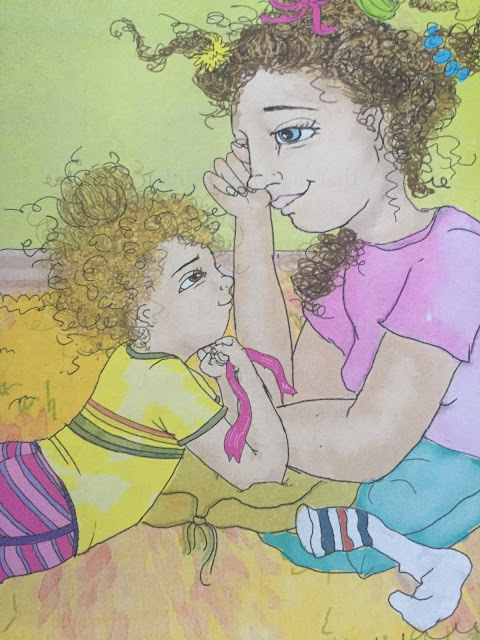 Through these engaging picture books — with parent tips at the end of each book — author Christine Bronstein empowers families to tackle parenting issues with fun and ease. The latest book in the series, Stewie BOOM! and Princess Penelope: Handprints, Snowflakes, and Playdates (released April 2018) shows readers how children and families can embrace differences and it also gives parents the tools to help facilitate successful social interactions between children with ASD and their typical playmates. 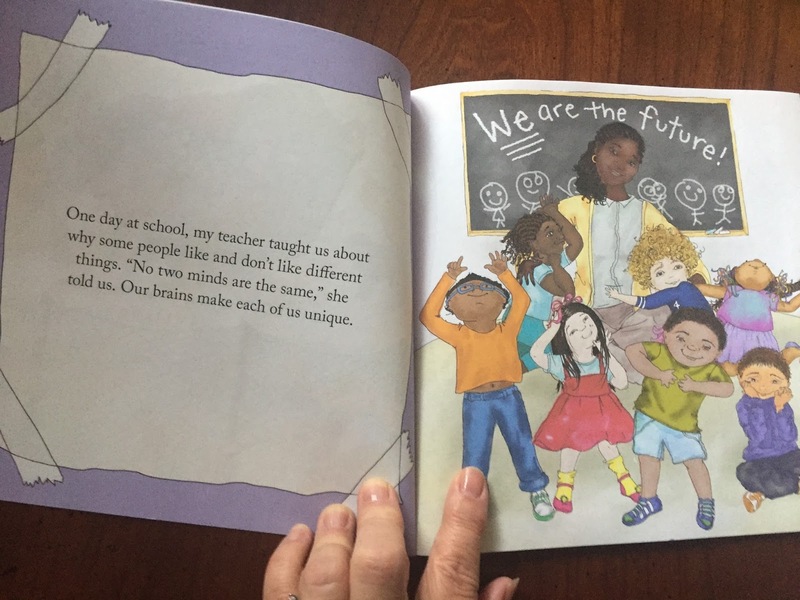 Whether or not your family has a child with special needs, this easy-to-read picture book promotes tolerance and diversity in a time when we need it the most. 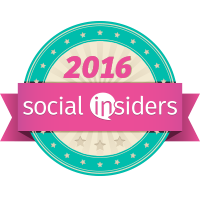 It is not only entertaining and educational for kids, it is also incredibly useful for parents. 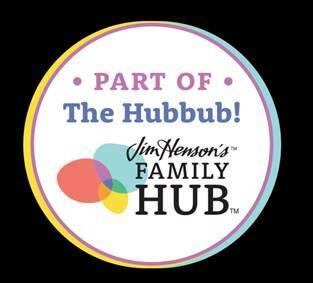 It includes parenting advice and activity ideas at the end and the story encourages young people to face challenges and overcome adversity in a positive and kid-friendly way. With Autism Spectrum Disorder on the rise, this book raises awareness of the advantages of inclusion and finding points of connection with children with ASD. "If they were represented as a group, people with disabilities would be the largest minority group in the US and they are very underrepresented in the world of publishing," says Bronstein. "These are the voices I like to focus on and empower through my work as an author and as a publisher." Bronstein's inspiration for writing the book comes from her own experience parenting a child with special needs. Her message has helped thousands of children and their families deal with disabilities. She has advice for young people and their families on inclusivity and welcoming special needs children in our community. 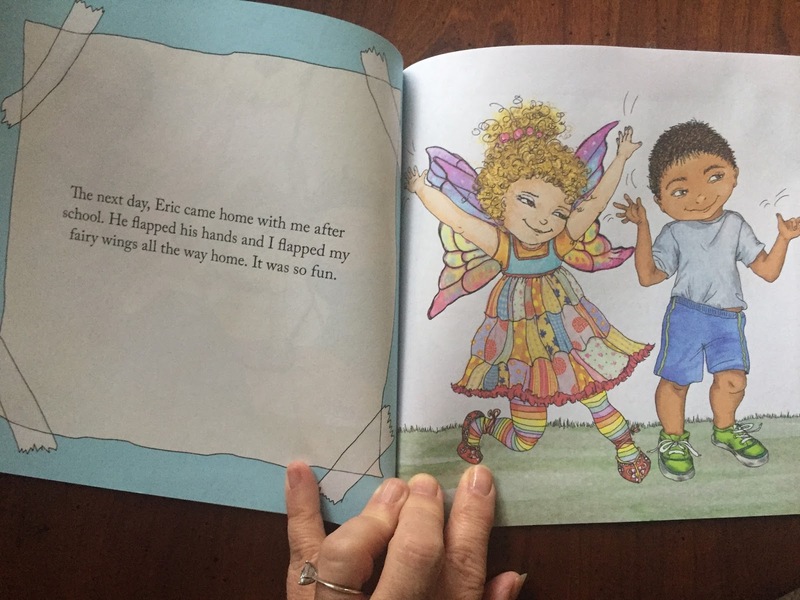 "A useful and compassionate tale about inclusivity for kids and parents." "The Stewie BOOM! series should be on every pediatrician's recommended reading list." At school, Penelope’s teacher encourages the class to play with someone new at recess so that they can see that minds, like handprints and snowflakes, are one of a kind. Penelope chooses Eric and they have so much fun she invites him over for a play-date. 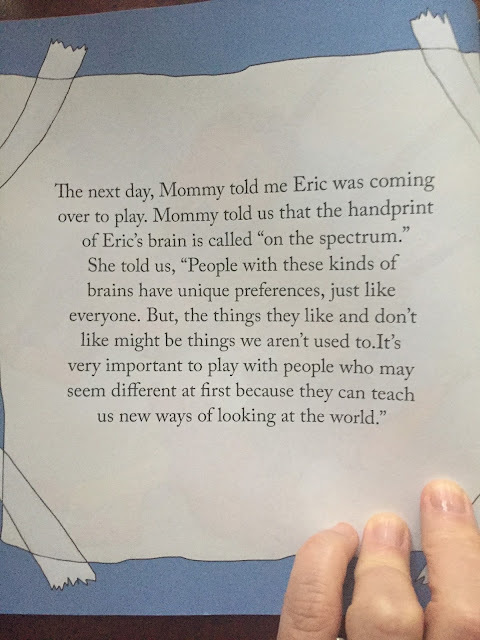 Before he arrives, Penelope’s Mom tells her that Eric’s mind is called “on the spectrum,” and so his unique preferences might be different from the ones she’s used to. To prepare, they practice using quiet voices, listening with their eyes, and being flexible. 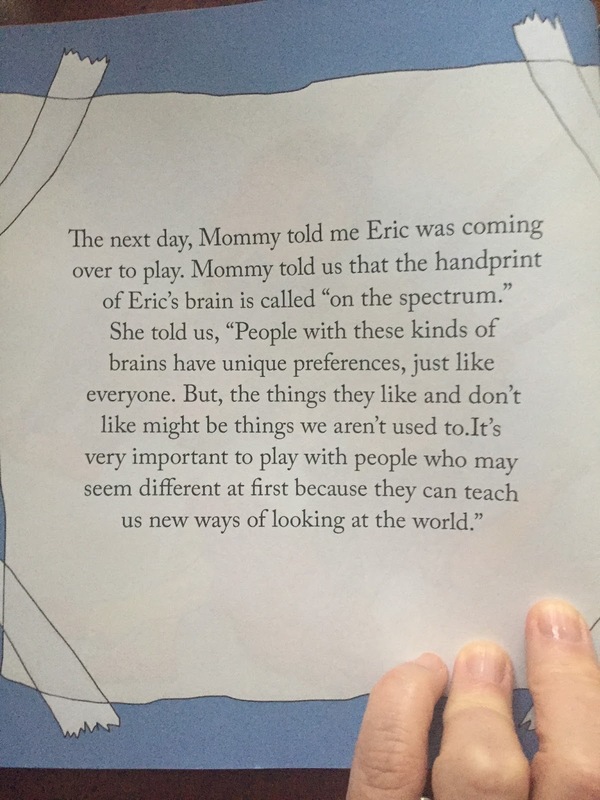 As their play-date unfolds, Penelope and Eric show readers the many ways that families can embrace neuro-diversity. I loved this book. It teaches compassion and understanding for kids when they meet someone who may not present what they deem "like me" personality traits. My son has always been different! He is autistic and such a brilliant boy who is respectful to his elders, always uses his manners, says the sweetest things to everyone and tries very hard to fit in. However my only wish when I pray is that others will accept him, understand him, and be compassionate enough to give him time to adjust before they move on. I used to watch it with my own eyes when I worked in the school district. He wanted to be friends with everyone especially the kids I would prefer he didn't want to be with. They were just mean! He fortunately didn't know they were being mean but I saw it. They had zero patience for him! Teaching kids to understand that we are not all the same is so important and now as a preschool teacher dealing with the youngest of kids I try to make them see that some learn and play differently so that when they are in school hopefully they will understand and respect that some kids will not be like them BUT they still need friends. I love how patient the teacher and parents are in explaining that Eric is like them but different. I also love how Penelope and Stewie are so eager to join Eric in his world and are patient and accepting. 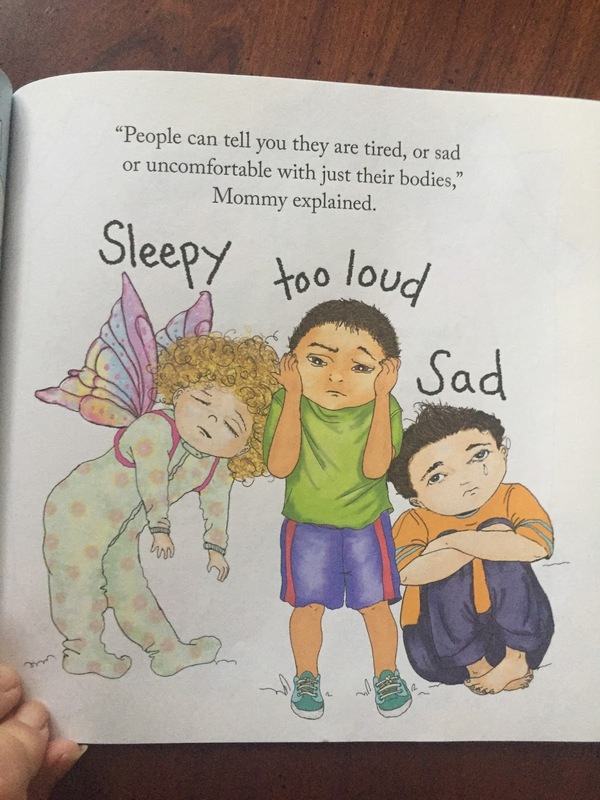 This book is perfect for children to hear how to deal with any child not just kids on the spectrum. We are all different and knowing this will make them better people who are compassionate, empathetic and more willing to be accepting of others. Christine Bronstein is an entrepreneur, a mom, an author, a philanthropist and a wife. She is the founder of Nothing But The Truth Publishing and the author of the Stewie BOOM! series of children’s books. Christine is a graduate of Emerge California and Columbia/UC-Berkeley executive MBA program. She was the CEO of one of the few women-run, venture-backed health and fitness companies in the nation for eight years and was president of a child-welfare foundation for three years. Christine is married to Bay Area journalist, Phil Bronstein and they have three children, multiple dogs, and several other small creatures. Disclaimer: I received a complimentary copy for my honest opinion. No monetary compensation was offered for my opinion. All opinions are my own.